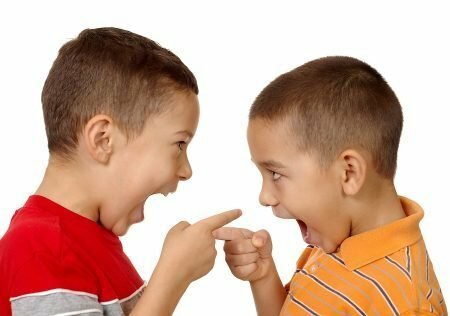 “Kids will be kids” is what a lot of adults might say when they see toddlers caught in the middle of a fight or a confrontation. While it may seem like a small matter in the grand scheme of things, toddler confrontations need to be taken seriously. There’s always the possibility it could escalate, hurting both parties involved. Moreover, young children are like sponges – they learn from watching others. If aggressive behaviours aren’t discouraged, it teaches children that violence is okay. Needless to say, that’s not the type of behaviour we want to be encouraging in our tiny tots. With the average child enrolled in childcare spending 12-18 hours a week there, it’s inevitable such confrontations will flare up. As such, childcare educators must know how to diffuse the situation and avoid any incidents that could harm, endanger or hurt the children under their care. That’s why Southern Solutions is here to walk you through the important points that should be taken into account when (and not if) intervention is required. View more info on our courses here, and don’t hesitate to get in touch or give us a call if you have any questions – 1300 656 321. Our childcare courses start on the 17th of every month in Sydney, Brisbane, and Melbourne! What do you do when you see two toddlers get into a confrontation? How can you resolve this before it gets out of hand and devolves into a tantrum – or worse, a fight? While your instinct might be to get in the middle and diffuse the situation yourself, this isn’t always the best idea. In fact, in many situations it’s better for you to avoid stepping in directly! By letting toddlers figure out how to sort problems out themselves, you encourage them to exercise their conflict resolution skills. By interfering in these types of situations, children lose valuable opportunities to learn how to take care of these situations themselves. Of course, we’re not saying you should take a completely hands-off approach! It’s a good idea to keep your eye on any squabbling toddlers and to intervene if things get out of hand, just in case. The time between 18 months and 3 years is an exciting time for toddlers. 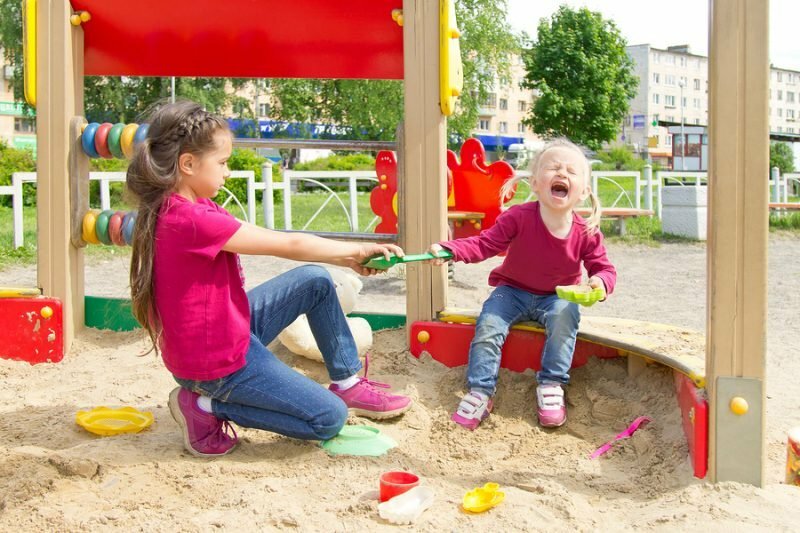 During this stage, toddlers become aware that they are separate entities from their parents – they learn how to assert themselves and communicate their needs. As a childcare educator, you need to be prepared to deal with the situation if it turns physical. If a toddler becomes aggressive, you need to step in. Childhood educators need to stay alert and deal with this in a cool and calm manner, by removing both children from the situation. You must also watch out for other toddlers to protect them from the scenario, too. Toddlers might be too young for a lot of things, but that doesn’t mean they’re completely unaware of their emotions. One feeling that toddlers can feel especially strongly is shame. Regardless of who’s at fault, the toddlers involved should never be humiliated or embarrassed in public. Even at their young age, toddlers are sensitive, and anything that makes them feel humiliated can affect their well-being and self-esteem. At Southern Solutions, we believe the goal of an educator should be to create an environment where children feel safe and nurtured. While singling out a toddler might be your automatic response, it doesn’t help at all – all it does is make them feel worse. While it might feel cathartic to let your rage fly when things don’t go your way, there’s a time and place. Needless to say, childcare is not one of them. No matter how frustrated or irate you get, remember to never raise your voice or sound angry. While yelling might get you quick results, research suggests that yelling might actually be one of the worst ways of dealing with a conflict. Yelling generally results in two things: shame and fear. We’ve briefly touched on shame above, while fear, on the other hand, can lead to anxiety, nervousness, and children withdrawing from you. Even longer term, excessive yelling has been linked to lower self-esteem, aggression, and even a higher risk of depression. As a child care educator, one thing you always want to avoid is picking a side. No one likes the feeling of someone they trust turning against them. Toddlers are no different – favouring one party runs the risk of simply creating more drama. It’s important to acknowledge all parties involved and hear what they have to say. This helps you see what has transpired from different angles and perspectives, making it easier for you to understand how to resolve the conflict caused by the confrontation. Moreover, taking a neutral stance gives you a unique opportunity to encourage children to create a solution together. It also maintains your standing as a friend to both children – when other problems arise in the future, your charges will be at ease confiding in you. Kickstart your career in childcare: enrol in our childcare courses today! An effective childhood educator is able to predict and resolve toddler conflicts – before they spiral out of control. It’s an unavoidable part of the childcare experience, and one you need to be prepared for. If you are passionate about providing education and care to children during the most influential years of their lives, Southern Solutions is here to help you prepare for everything you might encounter. We do more than teach you theory. At Southern Solutions, we believe in nurturing your love for children and building a positive, stimulating environment for young minds. We offer classroom-based training in Sydney, Melbourne, and Brisbane. Read more about our Diploma of Early Childhood Education and Care and how our courses will prepare you for the world of childcare. If you’d like to chat more about our childcare courses or your career in childcare, feel free to give our consultants a call on 1300 656 321. Alternatively, drop us a message and we will be in touch!